We welcome all nervous patients, and enjoy the opportunity to prove that our office is different. We are a family oriented private practice. We are not associated with a “Dental Chain” or franchise. You will be treated as more than just a mouth or a number. You will be treated as a family member. We are motivated to provide the highest standard in oral health care. We will work for you to educate and improve your oral health by advocating the newest in technology and techniques. Because everyone deserves to feel comfortable in their own smile, we will work to achieve a smile you can be proud of. A trip to the dental office should be relaxing and non-stressful. Given the advances in technology and education, there is no reason it shouldn’t be. Feel free to call our office or send us a message. 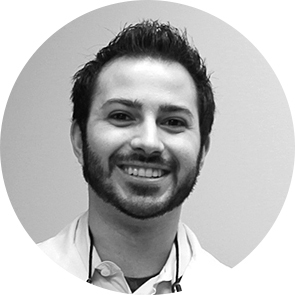 Dr. Frank Mucci is a general practicing dentist with a strong background in all areas of oral health care. He focuses on the philosophy of comprehensive oral care, and understands the connection that oral health has on systemic health. Dr. Mucci believes in treating every patient as he would his family member. As such, you can be assured that any treatment recommended for you would be the same treatment he would recommend for his brother, sister, mother, father, grandparent or child. That was amazing! I never thought I would be so comfortable during a root canal. That was so much easier than what I expected.